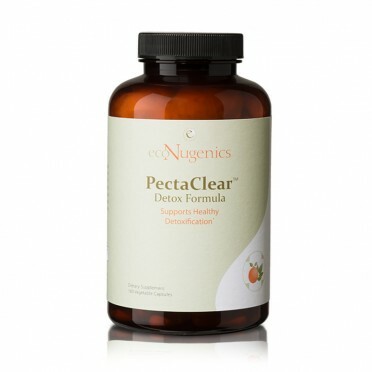 PectaClear is a 2/3 combination of PectaSol and 1/3 modified alginates. If you are targeting heavy metals, this product uses alginates to bind to heavy metals in the gut, while the PectaSol binds to heavy metals in circulation. As a dietary supplement for intensive support, take 3 capsules 2 times daily on an empty stomach, or as recommended by your health care practitioner. For long term maintenance, take 1 capsule 2 times daily on an empty stomach, or as recommended by your health care practitioner. This product is designed to be taken on an empty stomach, at least 30 minutes before or after food, supplements and/or medications. For long-term maintenance and for children less than 12 years of age, take 2 capsules daily. Other Ingredients: Vegetable capsule (natural vegetable cellulose, water), stearic acid, magnesium stearate, microcrystalline cellulose, silicon dioxide. PectaSol-C® and Algimate® are protected under US Patent Nos. 6,462,0229; 6,274,566; 7,026,302; and 8,426,567. How Are We Exposed to Toxins? 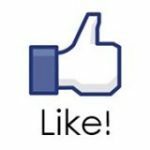 We are exposed to toxins from a wide array of sources including fish and seafood, cigarette smoke, exhaust fumes from vehicles, dental fillings, flu vaccines, jet fuel (especially if you live near a major airport), manufacturing plants, pesticides, crop dusting, fertilizers, fungicides, motor oil and more. What is the Difference Between Other Heavy Metal Removal Methods (such as EDTA) and PectaClear®? Is PectaClear® Safe for Children? One of the key ingredients in PectaClear® is Alginate, which is a viscous gum (glutinous in nature, thick, sticky) derived from the cell wall of brown algae (seaweed). It is modified and purified, and contains no Iodine. What Kind of Alginate is used in PectaClear®? The alginate used is from the laminaria species. Are there any Contraindications or Cautions for PectaClear®? Does PectaClear® Meet Quality Standards? PectaClear is produced under conditions that meet or exceed Good Manufacturing Practices (GMP) as defined by the Food and Drug Administration (FDA). 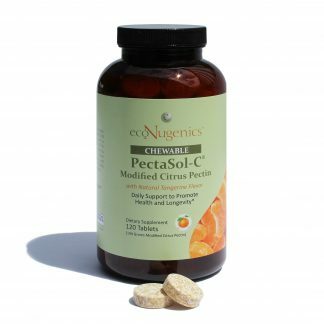 PectaClear® is available in bottles of 60 vegetable capsules or 180 vegetable capsules.